Emmanuel Macron and Marine Le Pen, the two leading candidates in the French presidential election, both chose the country’s second largest city of Lyon for launching their campaigns at the week-end. So did firebrand leftist Jean-Luc Mélenchon. Speaking in the central city of Lyon on Saturday (4 February), the day before Le Pen addressed her own supporters, Macron portrayed himself as the only candidate capable of rising above the traditional left-right split in French politics to occupy the centre ground. After queueing in the dark for more than an hour, hundreds of voters who had turned out in winter rain to see France’s fast-rising presidential candidate Emmanuel Macron faced disappointment. “I am not going to say that the left or right is meaningless, that they are the same thing. But are these divisions not a hurdle? […] I want to reconcile the two Frances that have been growing apart for too long,” Macron, a 39-year-old former investment banker, said. 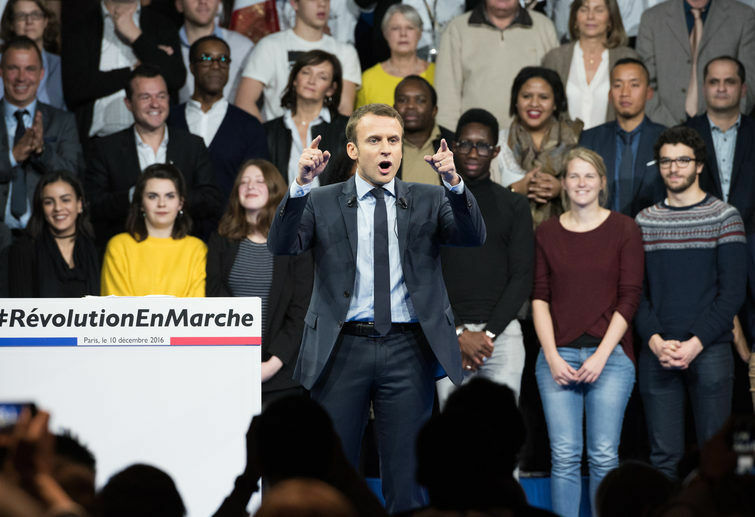 The speech kicked off the presidential campaign of the candidate, who resigned from President François Hollande’s Socialist government in August. 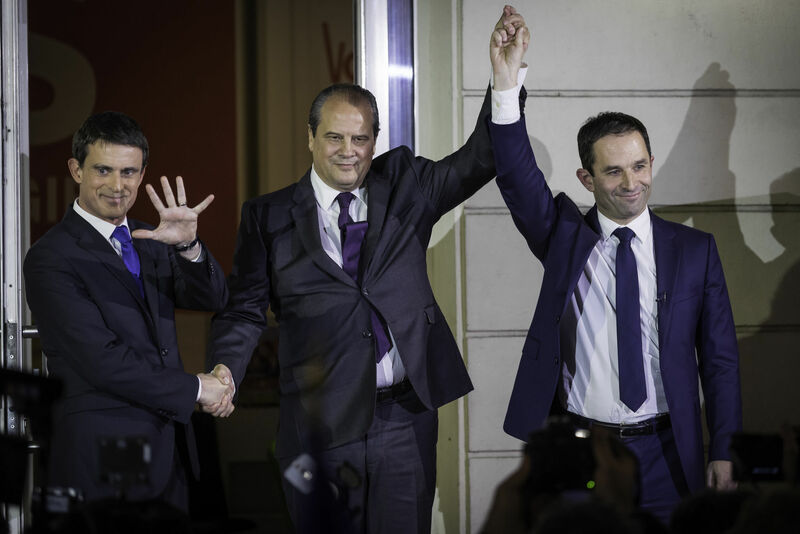 His hopes of winning the support of centrist votes with his own En Marche (“On the Move”) movement have risen since Socialists chose the radical leftwinger Benoît Hamon as their party’s candidate. Macron supporters see him as a sorely needed fresh face in a campaign overshadowed by stark populist moves made in allying states – Britain’s decision to pursue an exit from the European Union, and Donald Trump’s victory in the United States. “He is the only candidate who says that things will not be worse tomorrow than they are today and that the changes we are facing are not all doom and gloom,” said one supporter, 49-year-old Guy Tremblay. But his detractors point out that he has never held elected office and his campaign pledges are so far short on detail. Macron has also benefited in the last two weeks from the woes of conservative candidate François Fillon, the erstwhile leader of the race, who is embroiled in accusations he paid his wife and children hundreds of thousands of euros to perform “fake jobs”. Organisers said a total of 16,000 people followed Macron’s speech. 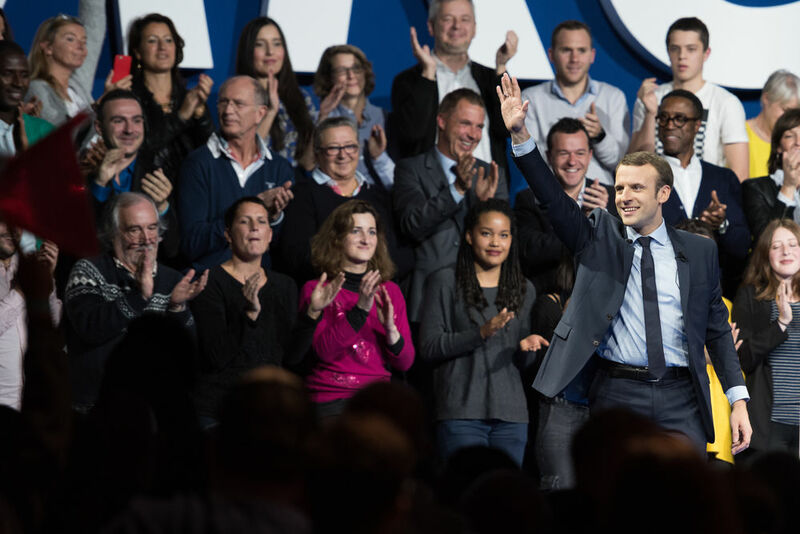 The venue was packed and an overflow crowd of thousands stood outside to listen – which Macron said was “a demonstration of the desire and enthusiasm” for his business-friendly programme. In contrast to Le Pen, who wants the EU to be overhauled and France to quit the eurozone, Macron said the country was the cornerstone of the bloc and must remain so. He also argued in favour of a stronger European defence policy and said he wanted all EU members to commit 2% of GDP to defence spending. But in a speech punctuated by rapturous applause, Macron’s main message was that he could breathe new life into the French economy through innovation and by freeing up businesses from administrative constraints. Le Pen also launched her presidential campaign on Saturday in Lyon, hoping her anti-establishment message will carry her to power later this year. She published a list of 144 “commitments” to the nation, which include pulling France out of the eurozone, imposing higher taxes on the employment contracts of foreign workers and freeing small firms from red tape. 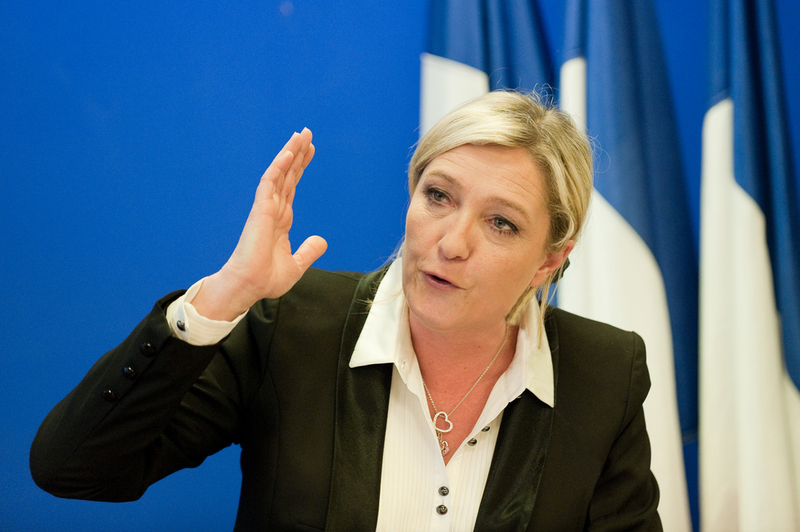 The 48-year-old leader of the National Front (FN) favours an overhauled European Union without a single currency. But she says in her “commitments”, published in a pamphlet and on her website, that if France’s European partners refuse to agree, she will hold a referendum soon after taking power on whether France should remain in the bloc. France’s far-right National Front leader Marine Le Pen, who wants to become president in the 2017 elections, celebrated Britain’s vote to leave the European Union. Polls also show she would be beaten in the 7 May runoff, possibly by Macron. “On paper, Macron has the strongest chance of winning,” one of Le Pen’s advisers conceded on Saturday, speaking on condition of anonymity. In the wake of the attack on a soldier near the Louvre museum in Paris on Friday that has re-awakened security fears in France, Le Pen also promises to “massively” arm the police while eradicating weapons in the troubled suburbs of French cities. The referendum on EU membership would enable France to “take back” control over its monetary and economic policy, she says, although she gives little detail. Le Pen hopes to capitalise on the same rejection of mainstream politics that helped the Brexit camp win in Britain and swept Donald Trump to the US presidency. She has worked to rid the FN of its more extremist, anti-Semitic fringe since taking over from her father Jean-Marie Le Pen, who has repeatedly referred to the Nazi gas chambers as a “detail” of history. Far-left firebrand Jean-Luc Mélenchon also chose Lyon to launch his presidential campaign yesterday (5 February), with a 3D hologram of him making his speech appearing at the same time at another rally in Paris. 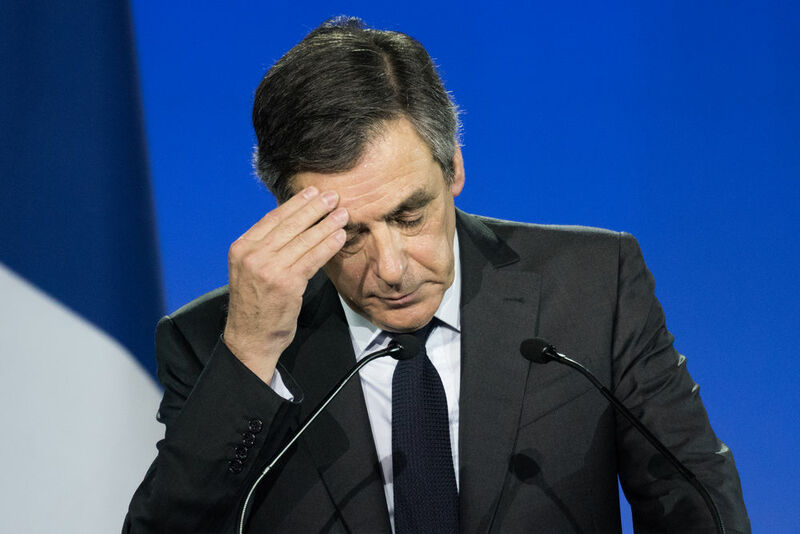 He tried to position himself as a key adversary of Le Pen, choosing Lyon – and almost the same timing – for the launch of his campaign. There are some similarities between Mélenchon’s platform and Le Pen’s, as both are sceptical of the EU and globalisation, but they differ sharply on other issues including migration. During his speech, Mélenchon mentioned the Socialist party’s presidential candidate Benoit Hamon, who has called on left-wing forces to unite. “Everyone wants to abolish El Khomri (a labour law), including the Socialist candidate. I wonder what holds him back?” said Mélenchon, who has between 11 and 11.5% support, according to Friday’s BVA poll.